The creation of sustainable creative community serves as a key to an economic growth of the city and yields an economic development in the national scale. Seeking opportunity, exploring area potential and its unique identity allow studies on community renewal to happen through observation of the community’s physical characteristics, history, culture and, most importantly, the people’s lifestyle and norm. Community diversity, its population and deep-rooted culture have been revolved around until the present day. The trend in urban development through value enhancement and community renewal resurrects an area prosperity it once had. Many cities around the world have begun to focus on boosting an economic growth via old community renewal projects. Various projects have been researched with knowledge exchanged and collaboration from both governmental bodies and corporate companies. People remain key connections to every story behind the works. Creative minds have come forward to recreate the soul of the community allowing this area to be innovatively and sustainably used. Creative ecologies then play an important part to drive business and economic factor in order to enhance the quality and competency of the area. Area development requires a focus in local economic mechanism, community competitiveness, and old and new business sectors as well as ethic, religious and cultural measurements. These are principles and values based on combination of an urban development concept and digital communication platforms. The idea gives community a vigorous power of negotiation. Community populations play an important part in designating direction of development of favour the future of their lifestyles and quality of living. An excellent example can be found in Digbeth creative area in Birmingham, the United Kingdom. The area was successfully turned into creative event space for arts. Another good example is Klarendal in Arnhem, the Netherlands, where a degenerated area was transformed into a town of fashionistas. Brooklyn-Queens river bank, USA has also set a standard of applying technological advancement into the area in order to create an innovative space for the city. 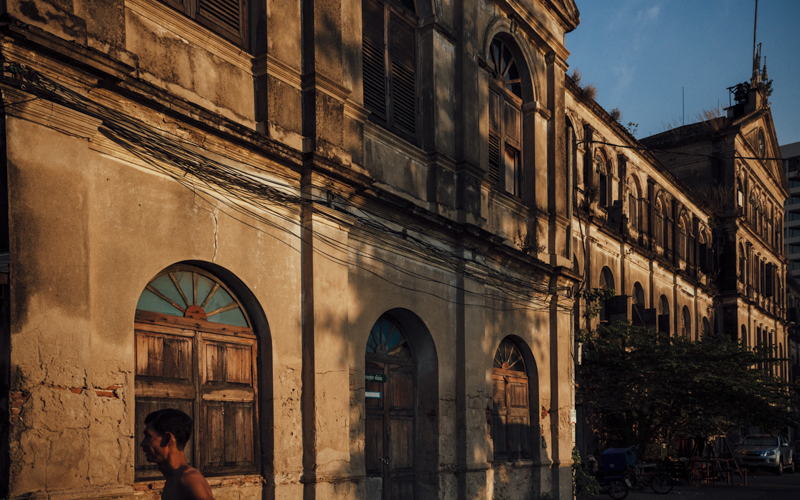 Hence, “Charoenkrung” will be next watch, where people, activity and the area are gathered and connected in order to create creative projects with local community and to further expand this creative concepts for the whole district. 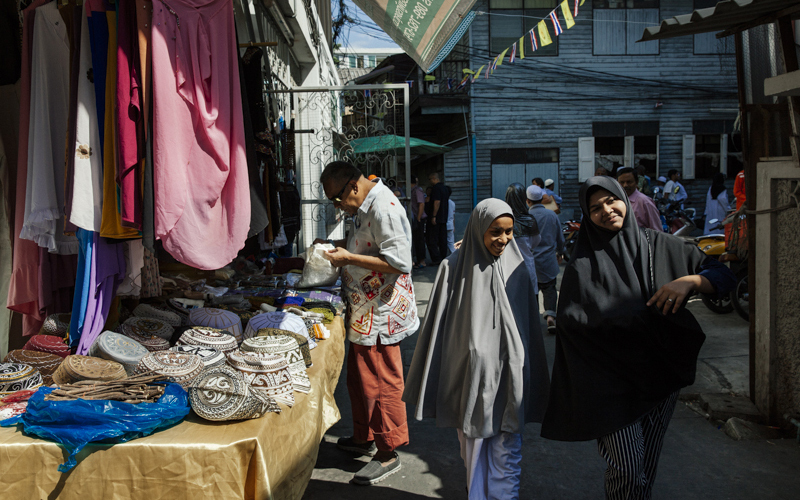 Chareonkrung Road or the new road represents an economic competitiveness and an urban district with diverse religions, culture and architecture. The combination of old and new infrastructure from a major city development during 1910s including buildings, shops and tram system allows this area to be smoothly integrated in terms of ethnic and social differences. With a significant number of Chinese, Indian and Western migrants during that period, this district’s physical identity was gradually turned into a vibrant business and logistics quarter of the city. “District” was then formed creating an impact towards social development into a new city’s lifestyle. Ethnic differences were declined by more economic dimension replacement. 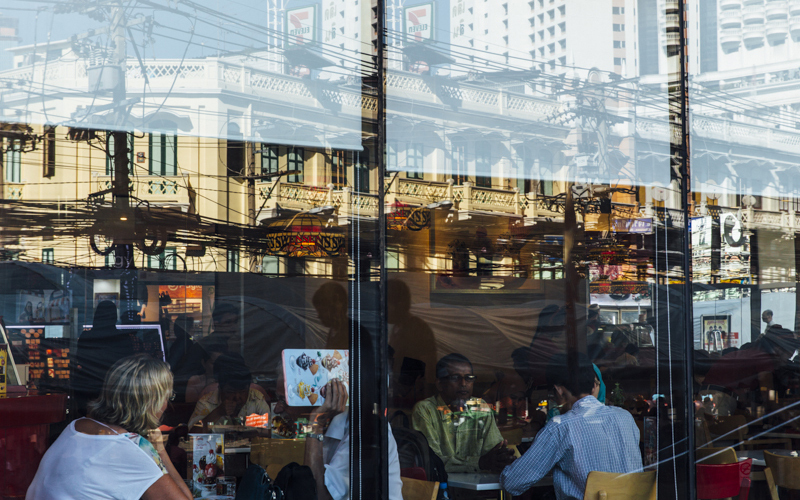 Chareonkrung is considered a good example of a district where the community has sufficient competency to move forward to create an adaptive space in the future. An important mechanism to drive the area transformation is to develop the economy and creativity based on having a true understanding of local history and the community lifestyle. A good relationship with the locals and collaboration from governmental bodies, corporate businesses and stakeholders are very important in the transforming stage as well as towards activities and local businesses. This covers from the proposal stage, brainstorming, experimental development, evaluation, a support on both hard and soft infrastructure and a database work of the district from the government and other related organisations. “The Creative Chareonkrung Project” was a pilot project developing the district to become a creative space via five approaches since 2015 until present. The project includes the riverside area development for public use, abandoned building restorations, green space expansions, planning to connect small streets and alleys in the district and a signage design project. The work receives positive support and feedback. Its results affect directly to the community. The locals are given positive signal encouraging the community to be more involved and later to be rewarded for creative area development in a long term.